This Net 10 Free Airtime trick is simple and easy. Net 10 normally does not have any deals. Their "Deal" has always been one low price on prepaid minutes. Net 10 phones use to be quite expensive for prepaid but their minutes have always been 10 cents each. When everyone else was between 20 and 35 cents a minute this was a great deal. Now the Net10 phones have gotten inexpensive. In fact this Net 10 airtime deal involves getting a Net10 phone for free. 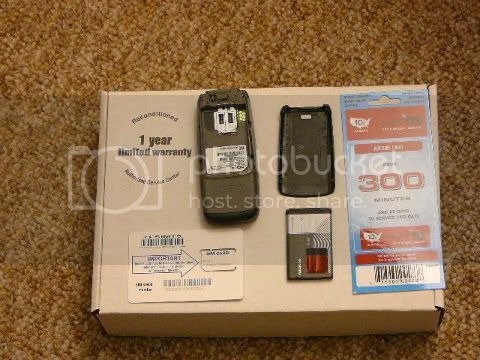 Buy the Nokia 1600 with the 300 minute card for $30 at Net10.com. Net10 Nokia 1600 with Phone CardBuy the Nokia 1600 with phone card. Do not buy the Nokia 1600 without the phone card. The reason is the Phone comes with 300 minutes and 2 months service time and the card comes with 300 minutes and two months. This deal is on special for $30. 600 minutes for $30 is 5 cents a minute. Find that anywhere else? Buy the Nokia 1600 with the 300 minute card for $30 at Net10.com and get Net 10 Free Airtime. I always buy two at a time.